1. 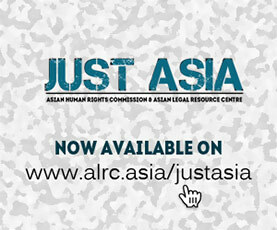 The Asian Legal Resource Centre (ALRC) wishes to draw the attention of the UN Human Rights Council (UNHRC) to the excessive force used by the security forces in Nepal during the anti-Constitution protests from 16 August 2015 to 5 February 2016, in which over 40 people died. 2. The Asian Human Rights Commission (AHRC), sister organization to the ALRC, as well as the Terai Human Rights Defenders Alliance (THRD Alliance) investigated the protests and deaths in Tikapur (District Kailali), Birgunj (District Parsa), Janakpur (District Dhanusha), Jaleshwar (District Mahottari), Rajbiraj and Bhardaha (District Saptari), and Rangeli and Dainiya (District Morang). While not investigating two incidents in Tikapur (District Kailali) and Bhagawanpur (District Mahottari) in which protestors were responsible for the killing of 8 police personnel and one Armed Police Force (APF) officer, the AHRC/ALRC and THRD Alliance condemn these killings in the strongest terms. 3. The Terai protests can be divided into two phases, the first beginning on 16 August 2015 and the second taking place between 23 September 2015 and 5 February 2016. Protests mainly took place in Tikapur (Kailali), Birgunj (Parsa), Janakpur (Dhanusha), Jaleshwar (Mahottari), Rajbiraj, Bhardaha (Saptari) and Rangel and Dainiya (Morang) districts, with most of the protest-related killings occurring in these places. 4. On 23 August 2015, the Chairperson of the Constitutional Drafting Committee, Krishna Prasad Sitaula, tabled the first draft of the proposed new Constitution in the Constituent Assembly (CA), as the Constitution Bill of Nepal. After clause-wise discussion, the CA approved the new text on September 16, and the President promulgated the new Constitution on September 20. 5. On 23 September 2015, as public demonstrations against the new Constitution escalated across the Terai, some protesters began to blockade border entry points with India, marking a second phase. The border blockade ended on 5 February 2016, following an increasingly polarized debate nationally and locally, about the impact of the blockade and the demands of the protestors. 6. Twenty-seven of the protest-related deaths occurred before the border blockade began, as the government declared one area after the other (including parts of the East-West Highway) as zones prohibited for protesters. As protesters defied those zoning restrictions, the government imposed a series of curfews in these areas. The demonstrators defied the imposition of prohibited areas and curfews, leading to clashes with government security forces. 7. Of those killed, 41% of the victims were targeted, while 56% of the fatalities were the result of indiscriminate shooting into crowds in market places and houses and 3% fatalities were caused by beating. There were six children and five women among those killed. 8. The Government of Nepal used excessive force against protestors and bystanders. Credible eyewitnesses and documentary evidence concludes that the security forces engaged in a consistent pattern of use of excessive force, resulting in the deaths of 34 people, while three others died in situations where the police could have intervened to stop them being killed by counter-protesters. 9. The evidence suggests that the Nepal Police and APF personnel were under orders to use lethal force in the face of any resistance, regardless of whether it posed a threat to life or not. Despite the Supreme Court order to follow the law, the police opened fire indiscriminately. In their fact-finding, the AHRC and THRDA found that 89% of the instances of firing by police at protesters were above the waist, while only 5% were below the waist. 10. Applicable norms do not permit police to use lethal force in response to an abstract threat to life: it must be sufficiently specific, identifiable, and imminent. The enormous power given to police is constrained by this principle under Nepal’s Constitutional guarantee of the right to life and by international human rights obligations. To the extent it is institutionalized and officials made accountable, this principle protects civilians from the abuse of power while also empowering police officials to defend and protect civilian life and instill public trust. 11. To date, no member of the security forces responsible for these serious human rights violations is known to be under investigation, let alone be prosecuted – once again reconfirming the deep-rooted problem of impunity in Nepal. e) Demand the Government of Nepal to fulfill its obligation to address the long-identified institutional and systemic problems in law enforcement agencies that have lead repeatedly and tragically to the unnecessary loss of life and the arbitrary restriction of civil and political rights.